Funeral services for Vernon LeRoy Chapman, 81, Drummond, Oklahoma resident, will be held on Friday, February 15, 2019 at 1:00 p.m. in the Salem United Methodist Church of Drummond, with Reverend Kris Mayberry officiating. Committal prayers and interment will follow in Waukomis Cemetery under the kind guidance of the Amy Stittsworth Funeral Service. Military graveside rites will be conducted by the Silver Talon Honor Guard with Vance Air Force Base. 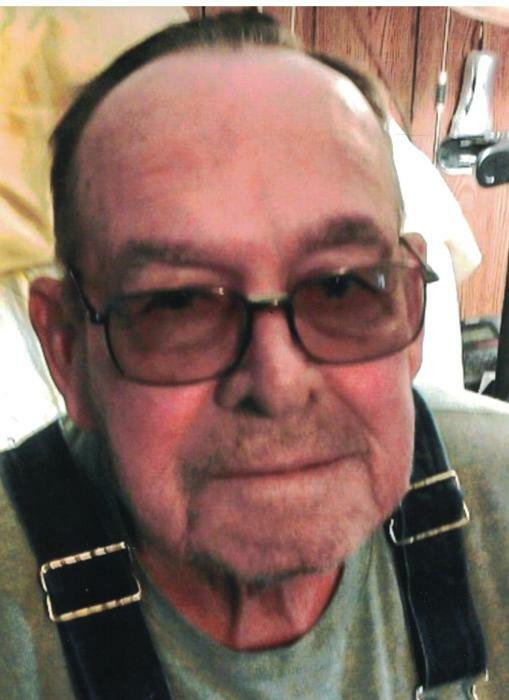 Vernon was born on June 24, 1937 in Waukomis, Oklahoma, the son of Henry and Alice Moxon Chapman and passed away peacefully on February 8, 2019 at his residence. He was raised in Waukomis. Vernon served in the Air Force from 1954 to 1957. He married Jo Ann Crawford in Drummond on July 29, 1991. Vernon worked for Garfield County District 3 as a road construction worker. He was a member of Salem United Methodist Church, worked for the Town of Drummond for five years and was a weather watcher for the Drummond Area. Survivors include his wife, Jo Ann of the residence; daughter, Cecillia Roberts; grandchildren, Andrew Cochran, Shannon Spencer, Misty Glover, Tiffany Stone, Ashley Storm, Levi Whitehead; twelve great grandchildren; numerous nieces and nephews. Vernon was preceded in passing by his parents, brothers, Elmo and Leo, twin sister, Velma Milam. The family has suggested memorial donation checks be made payable to Salem United Methodist Church or St. Jude’s Hospital. Remembrances may be shared online at www.stittsworthfuneralservices.com.